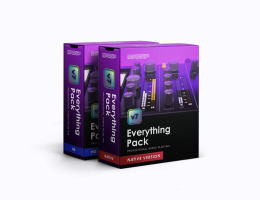 For those who need everything, the McDSP Everything Pack is the ticket. All McDSP’s equalizers, compressors, virtual tape machines, multi-band dynamic processors, reverbs, de-essers, noise filters, and ‘futz’ tools. Includes plug-ins from the Emerald Pack, Retro Pack, and the new SA-2 Dialog Processor. The Everything Pack is our complete bundle for the user who needs powerful plug-ins to make their audio sound as good or better than the latest software and hardware audio processors on the market today.